tradition since 1905, live thoroughbred racing will continue through April 16. Oaklawn is one of the premier race meets in the country, with some of the highest purses (a record $27 Million in 2016) attracting the best horses, trainers, and jockeys. First post on opening day will be 12:30 p.m., and once again, free admission will be offered all season long. $.50 corned beef sandwiches and $.10 soft drinks will be served on Saturday, Jan. 16; and Monday, Jan. 18 will feature an American Pharoah bobblehorse give-away, along with the $150,000 Smarty Jones Stakes. Regular post times are 1:30 p.m. weekdays and Sundays , and 1 p.m. Saturdays and holiday Mondays. 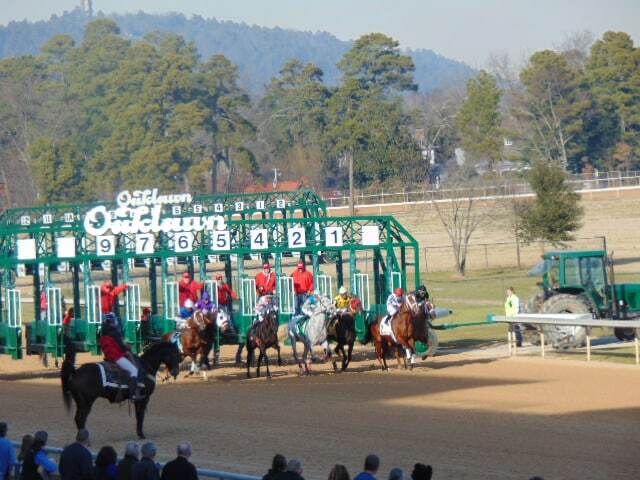 Check Oaklawn’s calendar for special race times, stakes races, and special promotions. Reserved seats and dining reservations are now being taken. Join us all season for one of the most popular traditions in Hot Springs! We can help you plan your weekend to include the races and all the best our area has to offer!